Waited too long for Mother’s day and need a last minute gift or card for your Mom? I’ve got you covered. 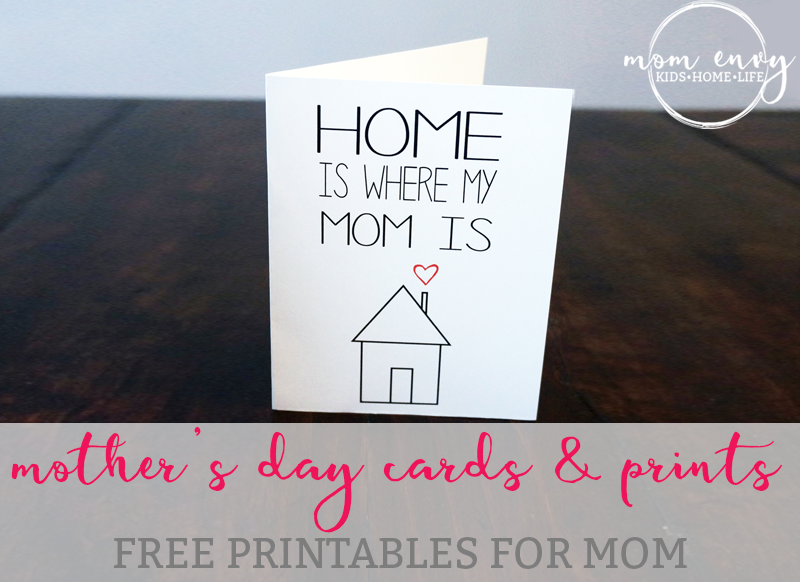 Today I will be sharing free adorable prints for Mom that are also available as printable cards. 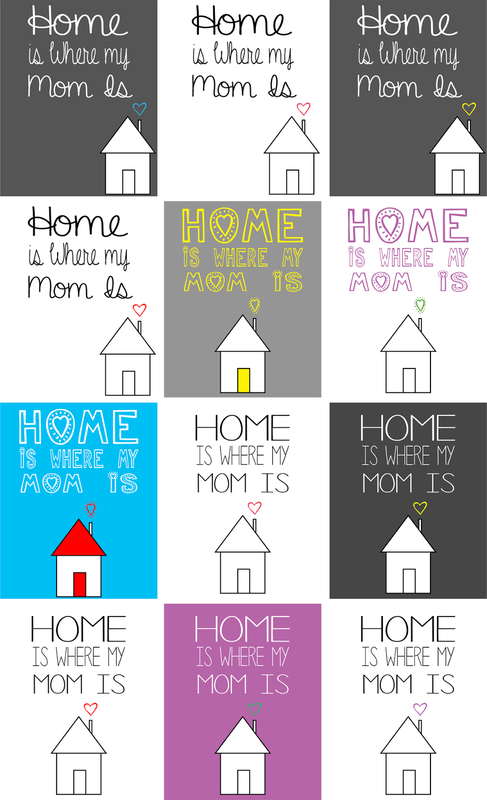 The truth is, no matter your age or how long you have been living away from home, this saying will always hold true: “Home is Where My Mom Is.” Today’s prints come in a range of colors and font styles (including 2014’s Pantone Color, Radiant Orchid). Print at home or send to your local store. Add a frame to for an extra special touch. Have a gift but haven’t gotten a card yet? These prints are also available as little blank note cards. 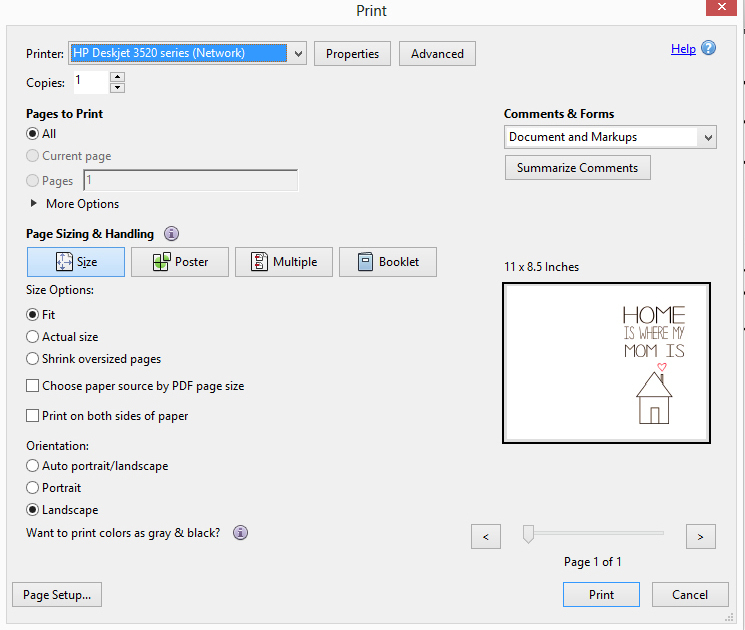 You have the option to print them larger (half-page) or smaller (quarter page, pictured below). I don’t know about you, but I am really looking forward to Mother’s day this year. Last year was my first Mother’s Day and it was also the first year without my Grandma (my Mom’s Mom) who had just passed mid-April. It was a difficult day, especially for my Mom. Even though it will still be difficult, I feel like my family is in a much better place this year.Carl is extra lucky because we are celebrating as our small family Saturday night, Kris’ family Sunday morning, and then my family Sunday night. He gets to eat out 3 times in one weekend so he will be extra hyper happy. How will you be celebrating your Mother’s Day? Did you get or make your Mom anything special this year? I would love to see any of your creations – I am always looking for ideas of what to make the grandparents from Carl. I am so glad to have started this blog just in time for Mother’s day. I feel like it will be a great tribute to both my Mom and Grandma. I hope that you all have a wonderful day celebrating your amazing Moms next weekend! Check out the prints and cards available for free download below. Enjoy! **The prints below are watermarked. To download the images watermark free and in high resolution, see the bottom of this post. 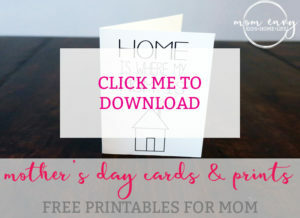 If you’d like to print the cards in another size (they’d look cute in a smaller size), simply choose a smaller size (such as 4 x 6) or adjust the size percentage on your printer options page. See the screen shots below on how to do this. Your mugs are adorable! I especially love the Call Your Mom Mug! Thanks for stopping by and for pinning! very cute! Thank you for linking up with us for Tara's linky party at Craftin Desert Diva's We hope that you will join us again for the next linky party! Thanks for stopping by and your kind words Robin! I definitely will be! These are really cute. 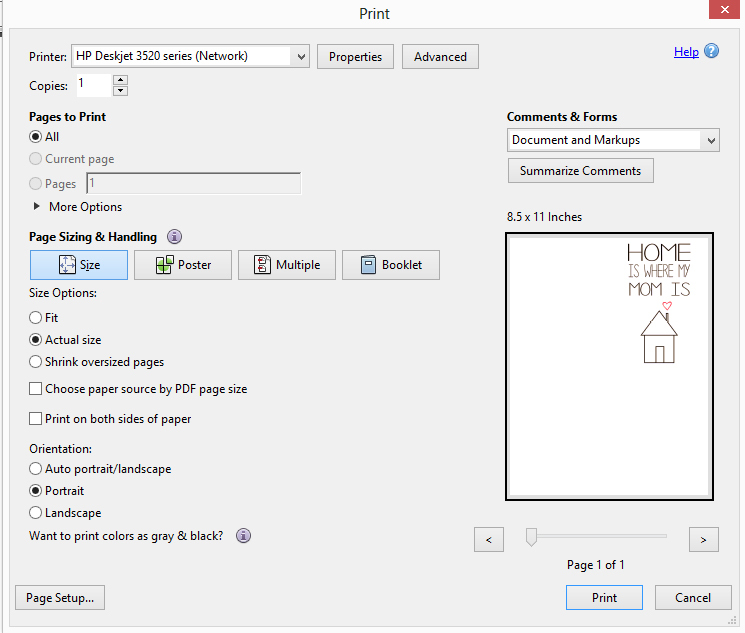 Thanks for printables. I love stuff like this. Thanks so much Tammy! Hope you had a great weekend! Hi there– love your design but I can't seem to download the images?? Please help! Sorry about that! I fixed it! Thanks!! Thank you! I think she's going to love this! I can't download the images either. What am I missing? Please help…. So sorry about that! All fixed! Thanks!! I can either pin the image you say to click on to Pinterest, or if I right click on the photo, download the image (jpg). Can you clarify how to download anymore? Thanks so much for sharing on Blogger Brags!! Thanks for a great linky party! How Fun! thanks for linking up with us! Thanks for stopping by and for hosting a great party!